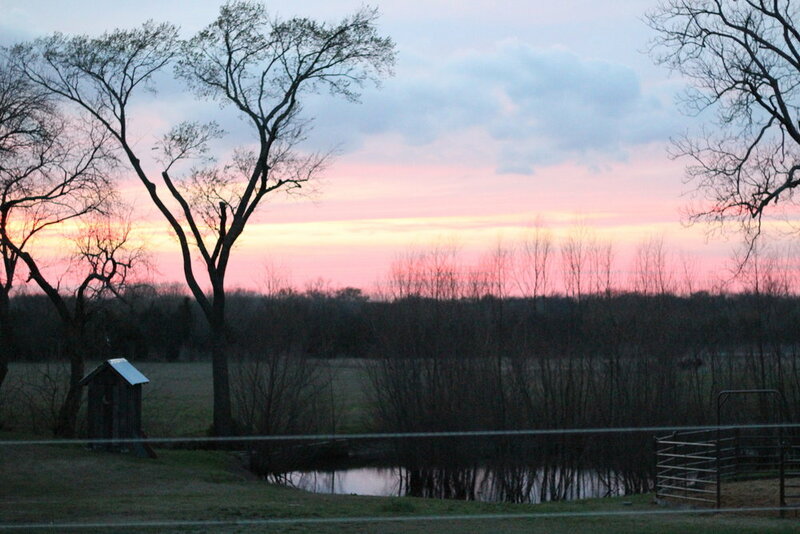 Solace Equine Center sits on 15 acres of gently sloping pasture with plenty of old shade trees, a pond and a creek. The indoor meeting facility is a restored barn that is approximately 1000 square feet and includes central heat and air conditioning, a full kitchen, bathroom, a sleeping loft and a large front porch that faces the horse pasture. Outdoor meeting spaces include a deck overlooking the creek that is well-shaded at any time of day. Spaces for working with the Solace horses include a 100 x 125 lighted covered arena with open sides and wind screens to mitigate harsh weather conditions at either extreme. In addition, we have 2 round pens, each 60 feet in diameter; one is shaded in the morning and the other is shaded in the afternoon. Our horses live and play in a 4-acre pasture that includes separate grazing space, hanging out space, a 12 x 48 foot shelter from the elements, a water fountain and a “track” which encourages movement, play and healthy muscle development. Read more about the science behind our equine living space in Jamie Jackson’s book, Paddock Paradise and on his website.